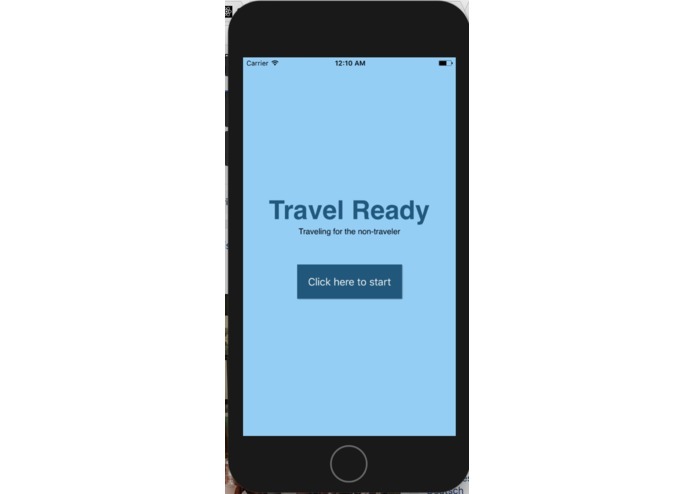 Our project is an apply to help college students more effectively navigate travel. As college students, we saw a need to aid low income and first generation college students navigate travel as travel, especially cross national and international travel. Because this population tends to have less experience with such travel, they may lack knowledge about the steps to successful execute their travel from where to look to book tickets, to what they need to bring and how to get to their desired location. 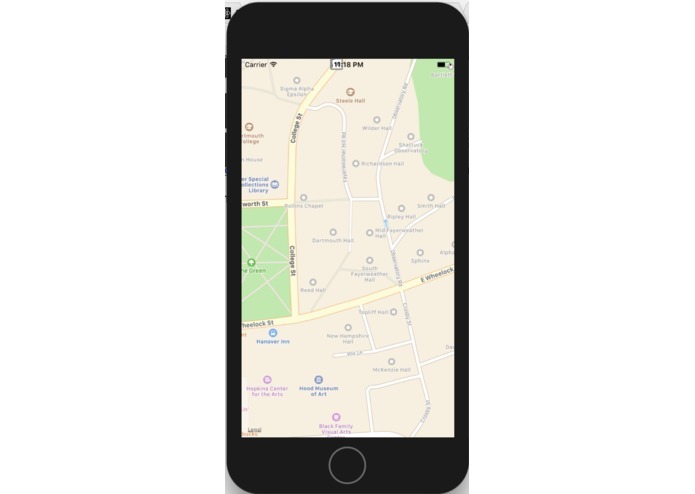 The app allows the user to input their desired location and then allows them to see a map of their destination. This map allows the user to explore their destination. For example, imagine a incoming first-year student at Dartmouth seeks to make the trek to rural New Hampshire. Where would he or she begin? By using our app, the student simply searches for Hanover, NH and is presented with a map of the town. From this map, the student will be able to see that there is bus stop on campus, while also gaining knowledge about the geography and location of their college. By exploring the area around Hanover, the student would also learn that very close to Hanover there is an Amtrak Train Station. 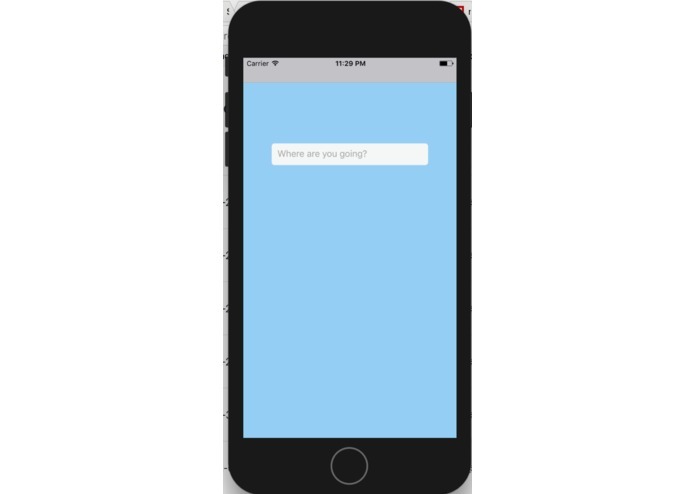 Our app allows the student to consider a variety of transportation options visually--a unique characteristic which simply presents students with another means to synthesize travel information. This is especially important for first generation and low income students for which finances are a main concern because, given the geographic diversity of Dartmouth and other colleges, many students may not be very familiar with or accustomed to different means of travel. For instance, by seeing the proximity of the train station to Dartmouth, the student, who may not have traveled via trains before or is from a region of the country where rail transportation is virtually nonexistent, will be able to use the train to travel to Hanover--an option that tends to be cheaper thus saving the college student money and providing them with a fun means to consider a variety of travel options. We used React Native so the app can work on both iOS and Android devices, using a StackNavigator to control the ability of the user to navigate through the app. We also used AirBnb's Maps API to display visual information about a specific destination, and Google's Places API to 1) have a database of all cities in order to autocomplete user input in the correct format to be 2) read by Google's Geolocation API. We had trouble moving forward and adding more complicated features to the app. For instance, we hoped to add more character to the introduction screen. We envisioned adding in a small animation of a college student dragging a suitcase on the screen. This kind of design would add another layer of complexity and flair to our app, however, we were unsuccessful in this pursuit because we had trouble eliminating the bugs with this code. Thus, we resorted to the blue home screen because, while less visually appealing, it is functional. We favored usability over aesthetics. We are proud of the fact that the app functions! Because we have little coding experience, we thought we would be intimidated by the knowledge and experience of our fellow hackers. However, working together, with the help of the mentors to refine our idea and app development, we were able to create something that functions and that is an incredible feeling! We learned how to code an app! This is incredibly exciting because given our little experience coding, we were still able to create an app that functions. While it is not as complex as envisioned, we are proud of the work we were able to accomplish this weekend. I worked on the user story and app design.